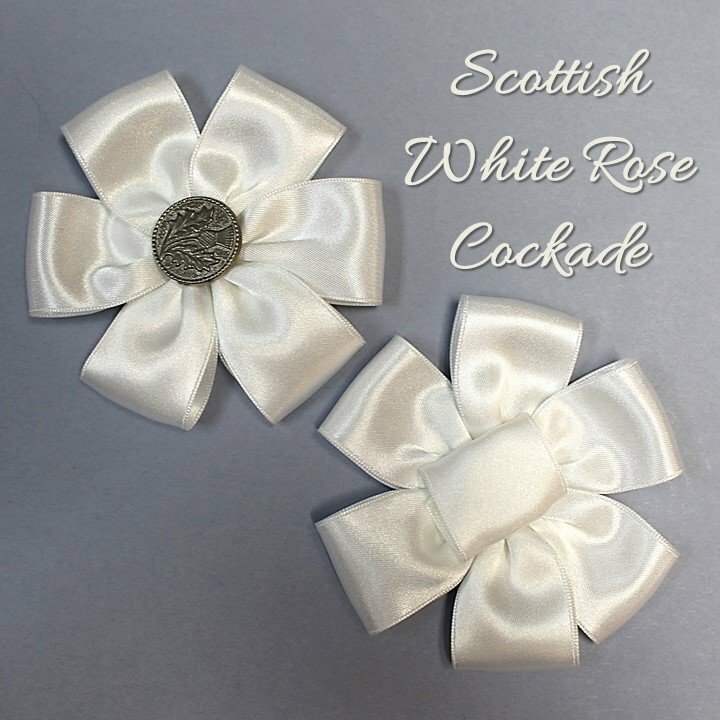 The Scottish white cockade is said to have originated when Bonnie Prince Charlie picked a wild rose and pinned it to his hat. This beautiful rose cockade is perfect for your balmoral, tam or to pin your tartan! You can also wear it with your everyday dress as a mark of Scottish pride! Choose all white or a pewter thistle button center. This lovely satin cockade is approximately 3" across. The optional silver-plated pin back is 1" wide.